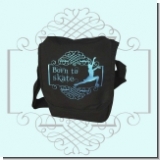 Black shoulder bag with pretty figure skating motif in metallic blue on the tongue. Velcro front and a separate zip closure for small things that do not want to be looking in the front compartment. 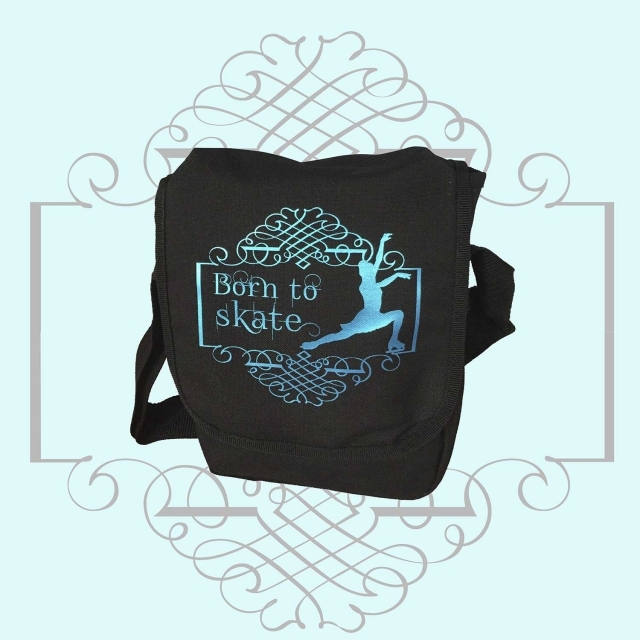 A must for any ice princess :-) Adjustable shoulder strap Volume: 2 liters (H x W x D: 20cm x 16cm x 7cm) Material Composition: 100% Polyester On request with name (instead of "Born to skate") and / or printed in silver!